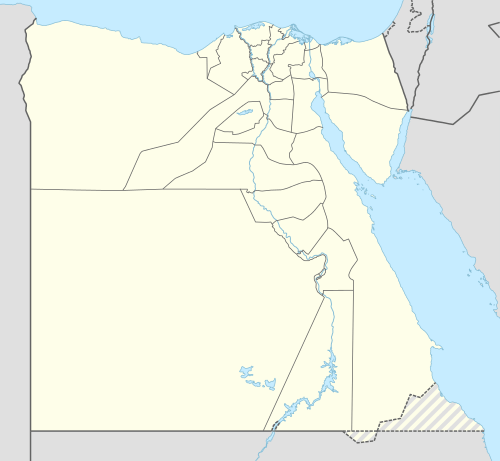 Akhmim (Egyptian Arabic: أخميم‎‎, pronounced [ʔæxˈmiːm]; from Egyptian: Khent-min ; Coptic: Khmin ) is a city in the Sohag Governorate of Upper Egypt. 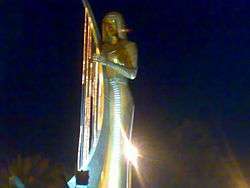 Referred to by the ancient Greeks as Khemmis, Chemmis and Panopolis, it is located on the east bank of the Nile, 4 miles to the northeast of Sohag. In the Christian Coptic era, Akhmim was known as Khmin or Shmin. Monasteries abounded in this region from a very early date. Shenouda the Archimandrite (348 - 466) was a monk at Athribis near Akhmim. Some years earlier Nestorius, the exiled ex-patriarch of Constantinople, had died at an old age in the neighborhood of Akhmim. Nonnus, the Greek poet, was born at Panopolis at the end of the 4th century. The bishopric of Panopolis, a suffragan of Antinoë in Thebais Prima, is included in the Catholic Church's list of titular sees. Among the bishops of Panopolis, Le Quien mentions  Arius, friend of Saint Pachomius who had built three convents in the city, Sabinus, and Menas. Excavations at Akhmim have disclosed numerous Christian manuscripts, among them fragments of the Book of Henoch, of the Gospel, and of the Apocalypse according to Peter, the Acts of the Council of Ephesus, as well as numerous other Christian inscriptions. ↑ "Climate: Akhmim - Climate graph, Temperature graph, Climate table". Climate-Data.org. Retrieved 14 August 2013. This article incorporates text from a publication now in the public domain: Griffith, Francis Llewellyn (1911). "Akhmim". In Chisholm, Hugh. Encyclopædia Britannica (11th ed.). Cambridge University Press. Henri, Leclercq (1907). "Akhmin". In Herbermann, Charles. Catholic Encyclopedia. 1. New York: Robert Appleton Company. Falling Rain Genomics, Inc. "Geographical information on Akhmim, Egypt". Archived from the original on 27 March 2008. Retrieved 3 May 2008.